Confused by numbers you don’t understand? Not sure what’s driving your profits? Struggling with cash-flow? Not measuring the right things? We can help you to measure what’s important to your business. We help you work out what really matters, the things you need to track to be sure your business is healthy, not just today but into the future. Has your business taken over your life? Are you missing important family time? Working too hard and not making enough money? Yes, we can help you find more time. We help you identify your goals in life and in business. And focus on doing the things that matter. Can’t find the time to grow your business? Is your business working for you, or are you working in your business? We can help you to identify and remove the roadblocks and put your business on a path to growth. No, it’s not easy, but we use proven tools and approaches. And we support you all the way; from setting goals, to finding time, to delivering results. 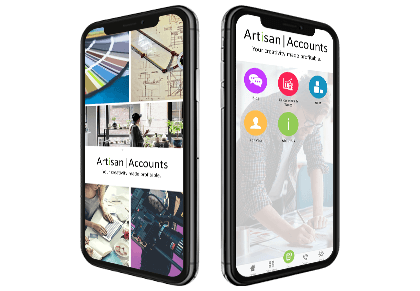 Artisan is one of the very first accountancy firms in London to launch a free mobile App. The great news is this App can be downloaded free onto your iPhone, iPad or Android phones. It’s packed full some really useful Tax Tables, Calculators and important dates. All of which you will be able to access for free, anywhere you have internet connection to your device. The popular Receipt Manager function can also help you go paperless. You can photograph, manage and export your receipts. No need to worry any more about those pesky bits of paper.